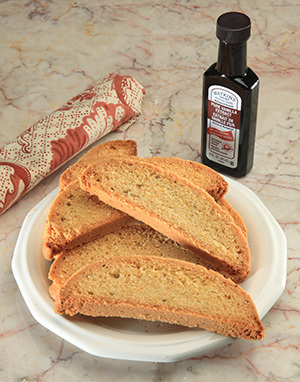 Ruth's Own original biscotti are made with a dash of pure Madagasgar Vanilla and twice-baked for that perfect crunch. Enjoy. All of our orders for Brownies, Cookies & Biscotti are handcrafted for you on the date you select and are shipped within hours of being removed from the oven. None of our "Freshly Baked" products are ever frozen or stored. However, we are closed on Sundays and do not bake and ship on that day.